The two major thoroughfares cutting through the neighborhoods on the North End (Arlandria, et al) are W. Glebe Rd and Mt. Vernon Ave. These two roads are as indecisive as roads can be. W. Glebe alternates from from 4 to 2 to 4 to 2 lanes within the space of a mile. Mt. Vernon Ave is a little better, with just one such change as it passes through Arlandria (though it goes from 2 to 4 lanes immediately before passing into Arlandria from Arlington). Mt. Vernon Ave is a two lane road south of Arlandria. Two of the primary causes of traffic along these stretches are the presence of vehicles waiting to turn left and the people stuck behind them trying to dodge their way around them. "Road Diets" are often conversions of four-lane undivided roads into three lanes (two through lanes and a center turn lane)... 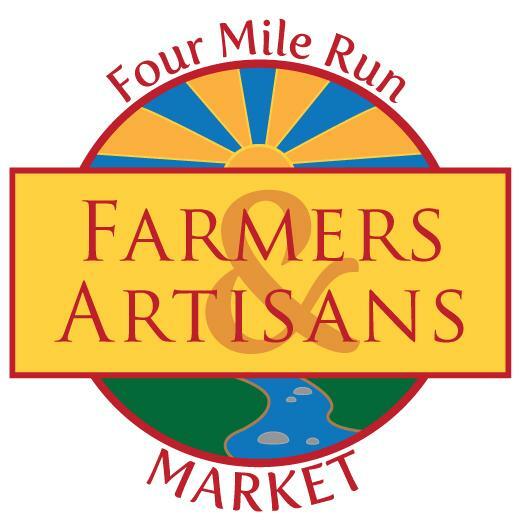 The fourth lane may be converted to bicycle lanes, sidewalks, and/or on-street parking. In other words, existing space is reallocated; the overall area remains the same. Under most average daily traffic (ADT) conditions tested, road diets have minimal effects on vehicle capacity, because left-turning vehicles are moved into a common two-way left-turn lane. However, for road diets with ADTs above approximately 20,000 vehicles, there is a greater likelihood that traffic congestion will increase to the point of diverting traffic to alternate routes. A 2002 Alexanria traffic survey shows that W. Glebe Rd averages 19,000 annual average daily traffic volume (AADT) in its Arlandria stretch and Mt. Vernon Ave averages 12,000 AADT north of Commonwealth Ave. These are both under the rough road diet threshold of 20,000 AADT. Even at above 20,000 trips a day, the road diet discourages additional vehicles to use the road. Drivers using the road for a cut-through take highways or find alternate routes. The 4 lane sections of Mt. Vernon Ave should be reduced down to 2 lanes with a center turning lane. The extra lane could be used for on-street parking. Alternately, the sidewalk could be moved in and the extra 10 ft. swath could be contributed to Four Mile Run park expansion. On W. Glebe, the 4 lane sections between Old Dominion Rd and Mt. 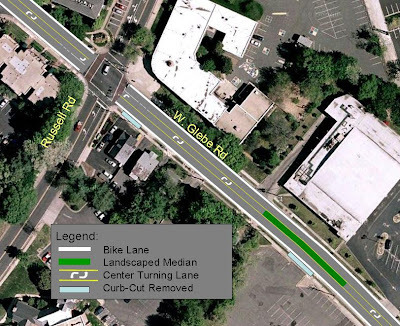 Vernon Ave should be reduced with a center turn-lane and bike lanes in each direction. Between Mt. Vernon and Commonwealth Aves, W Glebe should be wide enough to add a bike land on each side. This would connect residents of Beverly Hills, Lennox Place, Brighton Square, and Glebe Park with the Commonwealth Ave bike corridor. Further, curb cuts should be reduced where possible (e.g., the large parking lot that sits empty between Foodway and Russell Rd. doesn't need an extra curb-cut) and landscaped medians should be added in place of a center turning lane where no potential turns are present. This provides a place for pedestrians crossing the street to safely wait out passing traffic instead of dodging across 2 or 3 lanes of traffic all at once. Alexandria has a goal of increasing its walkability and bikeability. These changes would serve both goals, while increasing the area's driveability, as well. Here is a mock-up of changes that could be made on W. Glebe Rd. 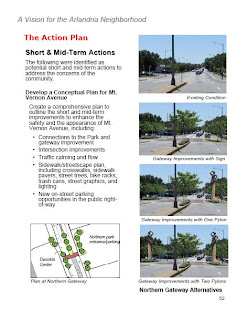 The Arlandria plan included re-striping of Mt. Vernon Ave and the formation of a gateway into Arlandria when crossing Four Mile Run (images follow). This was almost to the execution stage when several organizations fought to keep all 4 lanes. I think the idea was probably poorly marketed and citizens were not kept in the loop between planning and implementation. Were the project sold on its merits as opposed to just sold for the sake of adding parking spaces, the residents in the North End neighborhoods would likely be more willing to at least implement a trial re-striping to assess the impacts. In the 1980’s Pennsylvania DOT engineers used FHWA safety monies to fully fund a study and to convert a one-mile section of Electric Avenue in Lewistown, Pennsylvania, from four lanes to three. The roadway was carrying 13,000 ADT. After reviewing hours of time-lapse video and analyzing crash statistics and other data, the team concluded that more uniform flow, reduced conflicts and great reduction in crashes would result from four to three-lane conversion. The change was made facing 95% opposition from local residents, who felt that their trip times would increase. Once the new roadway section was completed, new time-lapse photography and data collection began. Dangerous maneuvers and crashes dropped to nearly zero. Overall trip times were unaffected. Today nearly 95% of those fearing the change are openly thankful to PennDOT for making the roadway better for safety, mobility and access. As community members, we should want drivers obeying posted speed limits, increased pedestrian and vehicle safety, and fewer people using roads in our community as a cut through on daily commutes. This solution works for all of those goals without costing us our own commuting time. If I haven't convinced you, yet, here is a recent case of a road diet that is proving successful in Vancouver, despite many community fears. This would be a great project for some of the Capital Improvement Program funds reserved for the area. If you have questions or concerns, please discuss in the comments section. I completely agree, this would make a huge difference. I'm all for it! This concept seems really interesting and worthwhile. What are the next steps? Who should we contact to voice support for such an idea? Might be more appropriate to use 2008's traffic numbers. In my experience, the traffic threshold to consider is closer to 15K rather than the 20K cited in the article (unless there's an abnormally large volume of left-turning traffic on a given stretch of road). With 2008 traffic volumes, Mt. Vernon Ave is still doable, but W. Glebe is right around the threshold. Still, something could be said for adding a center left turn lane to W. Glebe between Old Dominion and Mt. Vernon...but it doesn't make sense to add bike lanes unless you can extend them all the way west to N. Glebe or all the way east to Route 1. And to do that west of Old Dominion or east of Mt. Vernon, you'd have to either drop on-street parking on one side or drop any thought of a center left turn lane. I would love to see a road diet of King Street east of Quaker Lane considering that at Seminary/Janney's Lane it becomes one lane anyways into downtown. It is entirely too much road in that location. Froggie: Thanks for the 2008 link. It actually makes W Glebe look even better for a road diet as the traffic has gone down 1K ADT from 2002. About the bike lane, I live 2 blocks or so from W. Glebe and Commonwealth, and whenever I go by, there is extra parking on W Glebe west of Commonwealth. A bike lane would be a good use of surplus parking spaces. 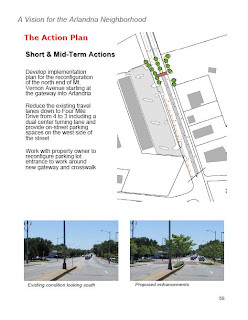 It would safely connect a lot of neighborhoods along W Glebe to the Commonwealth Ave bike lanes (Metro and 4MR trail connection). It would be nice to extend to Rt 1, but I think the parking on E Glebe is a lot more utilized and the road is narrower. Still, I'm sure that could be investigated. Maybe they could just add one bike lane and have narrower lanes? The road was narrowed from 4 to 2 lanes between Valley and Old Dominion a few years back and it hasn't really had adverse impacts, and that's without even a center turn lane. Also, Mt. Vernon was narrowed from 4 to 2 lanes a few years back between Commonwealth and W. Glebe with minimal impact (again, no center turn-lane). Brett: I would recommend writing a letter to the mayor and city council. Urge a meeting between city staff and the public to investigate. There's money to do it, people just have to show support. Have at it. The more pressure, the better.